# The first phase will be held on April 11, second on April 18, third on April 23 and fourth on April 29, fifth on May 6, sixth on May 12 and seventh phase on May 19. # Counting of votes for all seven phases would be done on May 23. # Model code of conduct would come into immediate effect from March 10. # As of 2019, 900 million people are registered as voters. 84.3 million voters have increased since 2014. # 10 lakh polling stations would be set up this time as against about 9 lakh in 2014. 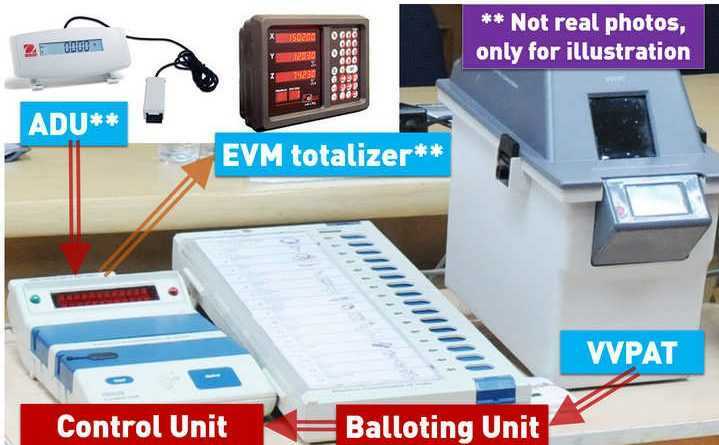 # The electronic voting machines will also have photographs of candidates next to the symbol of the party. # Candidates contesting polls to advertise their criminal antecedents in TV and newspapers at least three times during electioneering. # Voter verifiable paper audit trail (VVPAT) machines will be used at all the polling booth. # Social media vigilance is already working. Google, Facebook, YouTube have said all political ads will be certified. # The Election Commission has set up a helpline number '1950' and mobile app 'C-Vigil' for citizens where they can record any violation of code of conduct and send it to the EC. 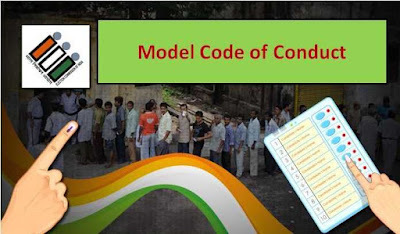 Model Code of Conduct - Election Commission of India's Model Code of Conduct is a set of guidelines issued by the Election Commission of India for conduct of political parties and candidates during elections mainly with respect to speeches, polling day, election manifestos and general conduct. The Model Code of Conduct comes into force immediately on announcement of the election schedule by the commission for the need of ensuring free and fair elections. Much of it is designed to avert communal clashes and corrupt practices. For example, politicians should not make hate speeches, putting one community against another or make promises about new projects that may sway a voter. 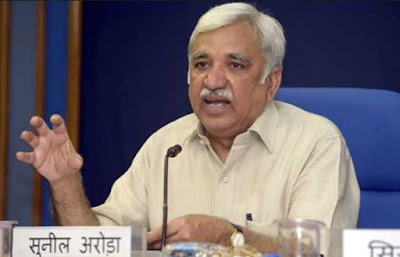 Committee For Voter Verifiable Paper Audit Trail - Chief Election Commissioner Sunil Arora said the committee of experts from the Indian Statistical Institute, constituted to determine a feasible threshold for counting of Voter Verifiable Paper Audit Trail (VVPAT) slips, would submit its report before the conclusion of the Lok Sabha election process. 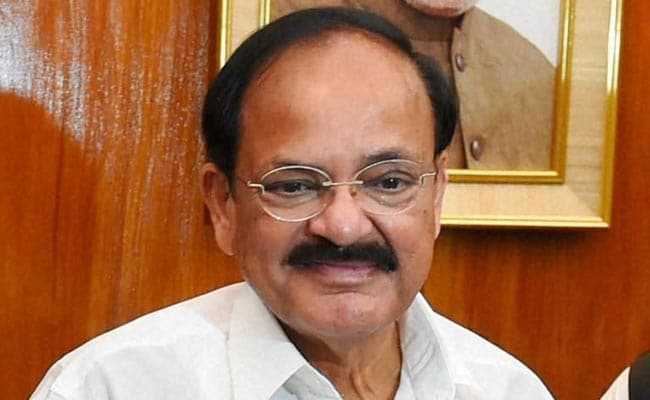 In February, leaders of Opposition parties had approached the Election Commission and demanded that 50% of the EVM results be matched and cross-checked with VVPAT slips before declaring the Lok Sabha election results. Madhya Pradesh Increased Reservation for OBCs - Congress government in Madhya Pradesh has taken the ordinance route to increase reservation for Other Backward Classes (OBCs) from 14 per cent to 27 per cent. 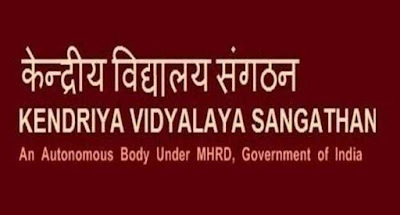 At present, the state provides 20 per cent reservation to Scheduled Tribes, 16 per cent to Scheduled Castes and 14 per cent to OBCs. 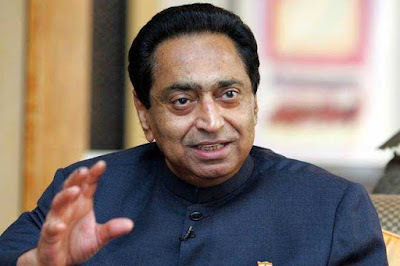 OBCs are estimate to constitute nearly 52 per cent of the state’s population, and OBC groups have often demanded an increase in reservation to reflect their strength in the state. M. Venkaiah Naidu - The Vice President of India and Chairman of Rajya Sabha, Shri M. Venkaiah Naidu has been conferred an Honorary Doctorate by the University of Peace founded by the United Nations Organisations (UNO) for his contribution “to the Rule of Law, democracy and sustainable development in India”. 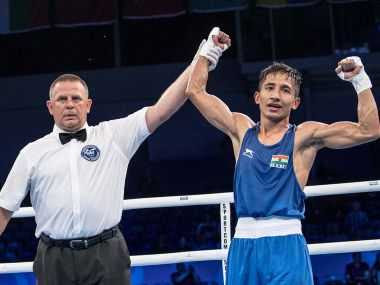 GeeBee Boxing Tournament - Kavinder Singh Bisht in the 56kg-category struck gold while Shiva Thapa, Govind Sahani, Mohammed Hussamuddin and Dinesh Dagar claimed silver medals to end a fine Indian campaign at the 38th GeeBee Boxing Tournament in Helsinki, Finland. 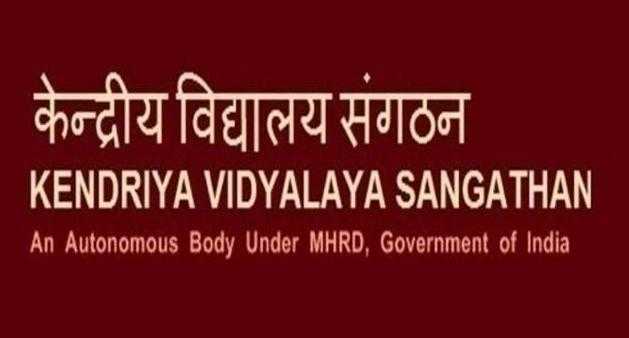 50 New Kendriya Vidyalayas - The Union Cabinet, chaired by the Prime Minister Narendra Modi has approved the setting up of 50 new KendriyaVidyalayas under Civil/Defence Sector all over the country.